If you can’t afford an entire secret passageway or don’t have the space for a built-in hidden room, maybe just feeling like you have a fun secret in your house is a good enough substitute. This Secret Passageway Switch designed by Ben Light is a playful way to turn on a lamp while feeling like you’re some kind of secret agent. The Secret Passageway Switch is sold as a kit which you can hook up to control your choice of electrical gadgets, including a secret door if you’re lucky enough to have one. 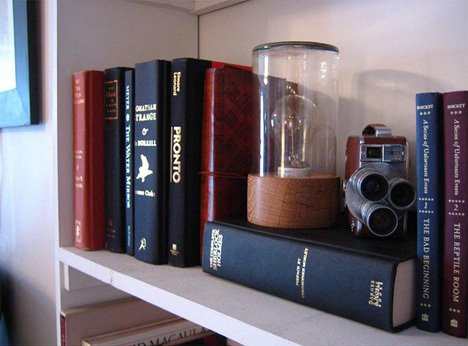 It works just like all of those secret passageway switches you see in the movies: with the tilt of a book on your bookshelf. Best of all, you don’t even have to damage your book to install the switch. 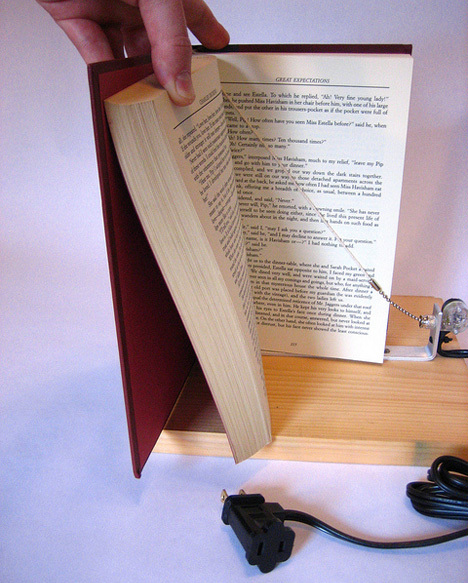 You just fit the pull cord within the pages and set the book on the shelf as usual. 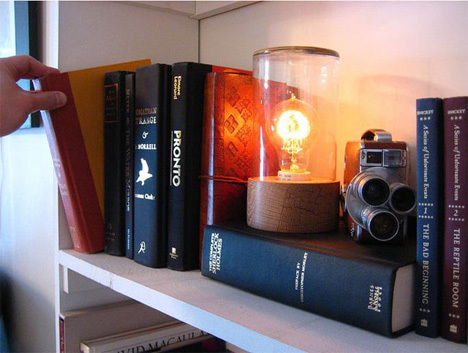 When you pull the book toward you, the switch is activated, your lamp turns on, and you get to enjoy feeling like James Bond for a few seconds.